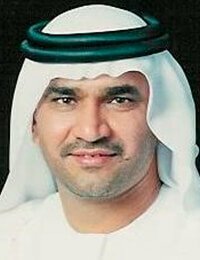 Mohamed graduated from the University of the UAE, Al Ain in 1987, studied at the University of Exeter, UK, where he was awarded the degree of LLM (Master in law) and the degree of Mphil (Master of Philosophy in law) in 1999. He acted as director for legal affairs in the Dubai Chamber of commerce (2001 – 2002) as regional supervisor at the Dubai International Arbitration Centre (2003 – 2005) as attorney and arbitration administrator at the DIFC (Dubai International Financial Centre) as Legal Advisor in the Executive Council of the Government of Dubai (until 2010) Mohamed has worked as solicitor and attorney since 2010, amongst others in cooperation with Legal Alliance, Munich. He is licensed to appear also before the Federal Courts in the UAE. Masters’ degree in International Private Law, Masters’ degree in Intellectual Property Law (University Kiew) LLM in European Private Law (University of Amsterdam). 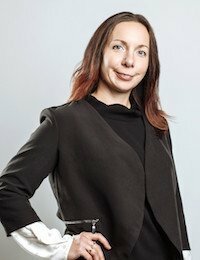 The key area of Elena’s expertise is Intellectual Property Law. She regularly participates in national and International legal IP events, conferences and round tables, as a participant and as a speaker. Elena is admitted as Attorney at Law in Ukraine, since 2012. 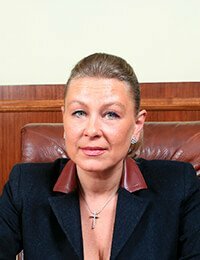 She worked as a leader of legal practice team at one of the largest CIS-based intellectual property law firms Gorodissky & Partners (Ukraine) and as in-house counsel in pharmaceutical industry, catering and hospitality, construction, entertainment and Internet retail sales. Her professional experience also includes pro-bono assistance to non-governmental organizations that protect the rights and assist national minorities in Ukraine. 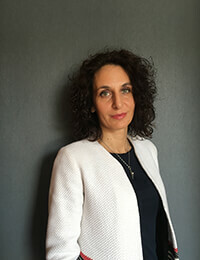 Elena has over 12 years of legal experience including broad dispute resolution & litigation practice, a proven track record of successful actions before the state enforcement agencies as well as high level of expertise in strategic counseling and assistance of legal transactions. Broad experience in dispute resolution & pre-trial settlements with over 80% of the matters resolved at pre-trial stage in favor of a large Ukrainian & multinational corporations, world known Internet social platforms and other clients. 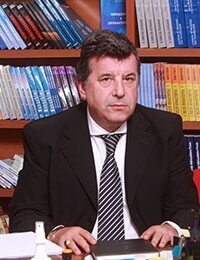 Representing interests of Ukrainian and International clients in large number of disputes before the Ukrainian administrative, general jurisdiction, commercial courts including the appeal and second appeal courts. Ella Cheong has been working in Hongkong and Singapur as solicitor and notary. She is member of the Hongkong law society, of the Asian Patent Attorneys Association (AAA) International Trademark Association (INTA). Ella is recognized as one of the best Intellectual Property (IP) lawyers in Asia. 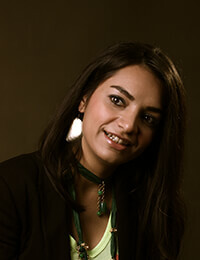 She regularly gives talks on all aspects of IP and has authored many articles on IP issues. Dr. Gong hat zahlreiche internationale Mediations- und Schiedsverfahren als Anwalt für internationale Mandanten begleitet. Er hat internationale Unternehmen bei der Gründung von Niederlassungen und bei joint venture bzw. M&A Transaktionen beraten. Desweiteren hat er zahlreiche „legal due diligence“ Prüfungen bei Unternehmensbeteiligungen und/oder Finanzierungsgeschäften durchgeführt. 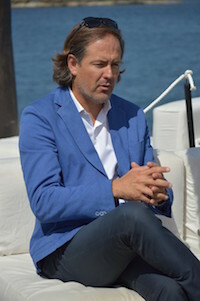 José Carlos Frau Greenfield graduated in law at the University of the Balearic Islands in 1991 and he has been a member of the Balearic Bar Association since 2009. He is also a registered property manager, real estate agent and administrative agent. Immediately after graduating from university, José Carlos founded the law office Bufete Frau Consultoría Legal, S.L. Since then, the office has grown and it currently has over 20 professional associates. 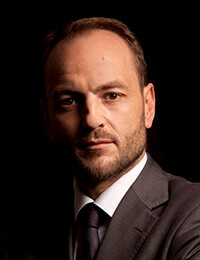 He specializes in real estate and urban planning law, focusing mainly on clients who are non-resident in Spain. The law office also provides tax consultancy advice to businesses and non-residents. A lawyer with 20 years’ experience in the profession and a strong international background, José Frau also gives lectures in Spain and abroad (the UK, Germany, South Africa etc.) on various key legal issues of current interest, in particular investments in the Balearic Islands. Spanish, English, German & Italian. 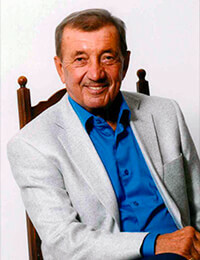 Elliott J. Hahn, Columbia Law School, LL.M 1980; University of Pennsylvania Law School, J.D. 1974; University of Pennsylvania, B.A. 1971, with Honors. Mr. Hahn is an attorney in the Los Angeles area. After graduating from law school, Mr. Hahn clerked for California state court judge Harry Hupp and then joined the legal department of Atlantic Richfield Company where he worked in the commercial and international areas. He also taught courses on commercial and international law at a Los Angeles law school from 1977 to 1979. 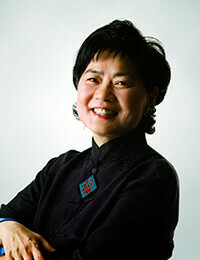 From 1980 – 1985, Mr. Hahn was an associate professor of law at California Western School of Law (San Diego), specializing in international business law. The advisor to the International Law Society, he taught courses on international business law, contracts, sales, and remedies. He regularly advises on U.S. corporate law, employment law, licensing of technology, real estate, and international business issues. He is Chair of the Executive Committee of the International Law Section of the State Bar of California, and is a member of the Executive Committee of the International Law Section of the Los Angeles County Bar Association and the Pacific Rim Committee of the Los Angeles County Bar Association He has also been appointed a Trustee of the L.A. County Bar Association. Mr. Hahn has taught courses and lectured in Japan, South Korea, Taiwan, and Hong Kong on U.S., Japanese and Chinese law, and international business transactions. 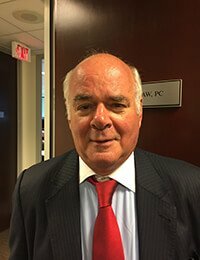 Mr. Hahn has been an adjunct professor at U.S.C., Southwestern, and Pepperdine Law Schools, where he taught a seminar on Japanese law and a course on commercial transactions. 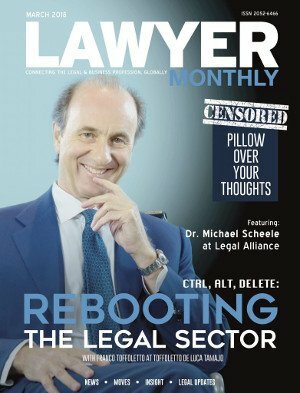 He also lectured for several years on both contracts and international business at the University of California, Beginning in 2012, he has been annually named in The Los Angeles Times as one of Southern California’s top rated attorneys. Mr. Hahn is rated by Martindale-Hubbell as a preeminent lawyer, its highest rating, and he has been named by American Lawyer Media as a Top Rated Lawyer in Labor and Employment Law. Dr. Andras Krasznai ist seit 1966 Rechtsanwalt in Budapest, seit 1990 in eigener Kanzlei. 2004 wurde ihm seitens der Staatsregierung für seine überdurchschnittlichen Verdienste das „Ritterkreuz“ der Republik Ungarn verliehen. Im Jahr 2014 ehrte ihn die Rechtsanwaltskammer Ungarn mit dem Orden „de Justitia bene meritis“.Im Jahr 2016 folgte eine Auszeichnung der Budapester Anwaltskammer. Eötvös Karoly Preis. Dr. Krasznai arbeitet seit 1991 mit Rechtsanwalt Dr. Michael Scheele bzw. mit Legal Alliance zusammen. K&A is a law firm based in Prague, made of a team of mostly young people with experience ranging up to fifteen years of legal practice. Even though the Firm was established at the beginning of 2007, most of its lawyers have acquired enough experience both in international or local law firms and within corporations, where they gained necessary experience in the law related to business and production operations both in the Czech Republic and within an international environment. Yann graduated from College St. – Michel, Friburg (1996) and the University of Fribourg (2003) and is member of the Geneva Bar since 2005. He is also registered as legal consultant with the Dubai Department of Legal Affairs. Yann chiefly focuses on private wealth, tax and immigration practice. He has vast experience advising successful individuals and entrepreneurial families with Middle Eastern exposure on implementing intergenerational wealth, transfer strategies and structuring their operational assets and global wealth. 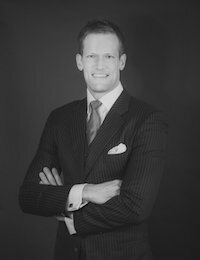 Yann is Chair of the “Society of Trust and Estate Practitioners (STEP) Arabia and he is the sole Attorney in the Middle East, referenced on the Who’s Who legal private clients list. Saad obtainded a Maters degree in International Business Law at the University of Western Sidney. 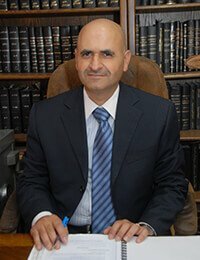 He has over 15 years of direct banking experience, which ensured him a prominent reputation among Jordanian lawyers in this domain inside Jordan and in the MENA Region. 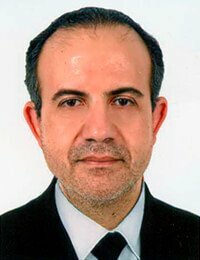 Saad has participated in numerous local and international conferences and workshops as a participant, speaker and key expert on issues such as Banking and Finance, litigation and ADR, reconciliation and transitional justice. Roberto graduated from the University Bologna in 1988 and was admitted to the Bar in 1992. He is Vice President of the AEA, an international lawyer’s network. Roberto is practicing as a lawyer in Verona (Italy). 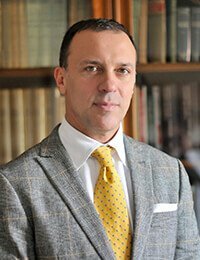 Since 1992 Roberto Nicolini has given consistant legal advice to national, to European and non-European companies, mainly assisting in founding companies in Italy, in joint-ventures and trade affairs and in all sorts of different cross border activities. Sameer studied at the University of Lucknow, where he got the Master in Business Law (MBL) and at the University of Bangladesh, with the LLB degree. He is registered with the Insolvency & Bankruptcy Board of India and has worked as a lawyer since 1997.Sameer has been nominated as an Asia leading lawyer in the matters corporate & business law every year, since 2012. Corporate laws, Foreign Exchange Law, FDI, JVs, Foreign Collaborations, M&A, Capital Markets (IPO, FPO, Private Placement, SME Listing, Buy Back), International Taxation, Venture Capital & Private Equity, ESOPs & IPRs. Sameer has two decades of experience in advising and representing clients, mainly mid-size companies from various countries in various business sectors. He is also specialized in patent law and registered as patent agent. He has been guiding several start-ups and has advised “angel” networks and “angel” investors. Katerina hat Erfahrung in der Beratung und Vertretung von Mandanten im Bereich des Handels-, Gesellschafts-, Vertrags-, Familien-, Erb- und Immobilienrechts. Sie hat ferner Erfahrung in der Bearbeitung von insolvenzrechtlichen Angelegenheiten. Katarina begleitet und vertritt Mandanten bei der Gründung von Gesellschaften, Stiftungen und gemeinnützigen Vereinen sowie bei Markenanmeldungen. Katarina hat besondere Erfahrungen und Kenntnisse in der Anmeldung von Sportvereinen und Sportverbänden. Sie vertritt auch zahlreiche Sportler und Sportmanager. Dr. Soler Padro absolvierte sein Jurastudium und das Studium der Wirtschaftswissenschaften an der Universidad de Barcelona. Danach studierte er auch noch in Bonn, Köln, Göteborg. Die Promotion absolvierte er an einer US-amerikanischen Universität. Dr. Soler Padro war 10 Jahre lang Honorar-Generalkonsul der Republik Österreich in Barcelona. Zurzeit ist er u. a. Landesvorsitzender der World Jurist Association in Spanien. Zehn Jahre lang fungierte er als Ratsmitglied der Deutschen Schutzvereinigung für Wertpapierbesitz. Er spielte eine viel beachtete Rolle im spanischen Demokratisierungsprozess. Wegen der Verteidigung von Menschenrechten, wurde er während des Franco-Regimes inhaftiert. 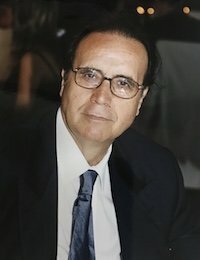 Dr. Soler Padro ist Mitglied der Anwaltskammer in Madrid, Barcelona, Malaga, Balearen und Kanarische Inseln. 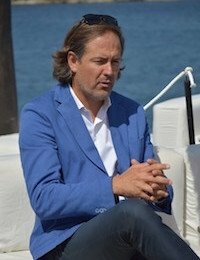 Jacinto Soler ist als Rechtsanwalt, Steuerberater und Wirtschaftsprüfer tätig. Seine Kanzlei spezialisiert sich auf die Betreuung internationaler Mandate in den Bereichen spanisches Handelsrecht, Arbeitsrecht, Arbeitsrecht, Bankenrecht, Immobilienrecht, Erbschaften und Firmengründung in Spanien. Dr. Solar Padro ist Berater des spanischen Außenministeriums bei Fragestellungen zur Volksrepublik China, hat er mehr als 600 Leitartikel für die Zeitung „La Vanguardia“ geschrieben. Seine Veröffentlichungen wurden international beachtet und kommentiert, z. B. in Financial Times, Business Week, Time. Zahra hat umfangreiche Erfahrungen im Bereich Gesellschafts- und Wirtschaftsrecht, einschließlich zahlreicher cross-border Geschäfte. Ferner hat sie besondere Erfahrungen und Kenntnisse auf dem Gebiet Geschäftsgründung im Iran. Sie hat sich auch einen Namen als Dozentin bei Seminaren über den Iran gemacht und, unter anderem, bemerkenswerte Schriften über die Sanktionen gegen Iran veröffentlicht. Zahra hat an einigen wissenschaftlichen Studien teilgenommen, z.B. über eine Rechtsvergleichung zum Thema Produkthaftung (USA/Iran) oder über die Durchsetzung von Schiedssprüchen. Sie hat ferner ein Diplom für Ausarbeitung von Geschäftsverträgen in englischer Sprache (University of Cambridge, England) weitere Diplome und Auszeichnungen von international anerkannten Instituten. Ramy studied law at Saint Joseph University (Lebanon) and at the University Paris II – Pantheon – Assas (France). 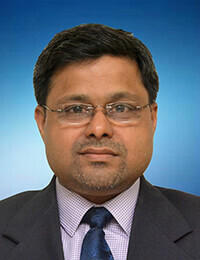 He is Master of Advanced Studies (DEA) in Banking and Financial Markets law, 2003. He finalized his Masters in Private and Public Law, 2001 and received a Diploma in IT/JP law at the University Montpellier/France. Ramy is leading an international law firm, providing legal advice to financial institutions, international and local businesses. He serves as a board member to a number of companies and NGO’s, has served as the Lebanese Legal Expert for a European Comission ADR project and is member of the Beirut Bar Association since 2002. Ramy’s practice encompasses a broad array of corporate tax issues, structured finance transactions, joint ventures and cross border projects building equipment and supplies, energy, manufacturing, pharmaceutical, technology, banking, hospitality, and F&B throughout MENA and Europe. 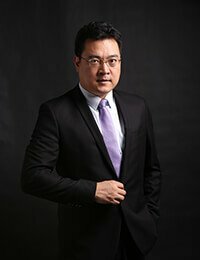 With more than 15 years of experience, he has overseen international acquisitions and reorganized the corporate structures of banks, an oil derivatives plant, a cement factory, technology companies, touristic ventures and multiple other enterprises. 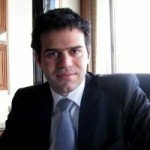 Ramy regularly contributes to journals and magazines on topics like securities, hedge funds, corporate financing, corporate governance, oil & gas, information technology and Alternative Dispute Resolution. He also gives lectures and trainings on subjects such as business registration and protection, Sharia compliant projects (Islamic finance) and ADR in Beirut, Geneva and Rome. Mohamed Zaanouni has been practicing as a lawyer in Tunisia since 1996. He graduated from the University of Tunis (II) in law, political & social sciences. He studied Business and Economics at the University of Paris (Sorbonne) and has worked with international law firms in New York and London before becoming an independent lawyer in Tunis. In 2010 he was nominated the chapter Chair of the New York State Bar Association “NYSVA” in Tunisia and was admitted as attorney at the Supreme Court of Tunis in 2011. He is also Vice President of the American Chamber of Commerce in Tunisia. He has an extensive experience in representing international companies in corporate matters. He represents wide range of clients including developers, lessors, investors, corporations and creditors’ committees. Mohamed Zaanouni adivses his clients in Tunisia, Maghreb region and other foreign countries on the legal aspects of their business activities and compliance with Tunisian laws in connection with their activites.